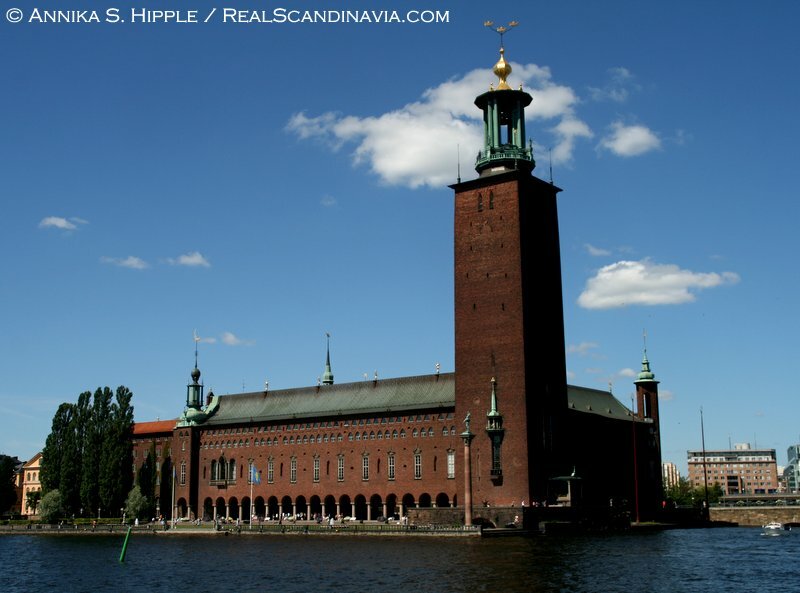 Stockholm’s red-brick City Hall topped by three golden crowns is one of the city’s most recognizable buildings, and its 106-meter (348-foot) tower offers outstanding views in all directions. As you look down from the viewing level at 73 meters (239 feet), the panorama stretches from Saltsjön, an inlet of the Baltic Sea, in the east to Riddarfjärden, part of Lake Mälaren, in the west. Busy downtown Stockholm lies to the north and northeast, while the large island of Södermalm dominates the view to the south. 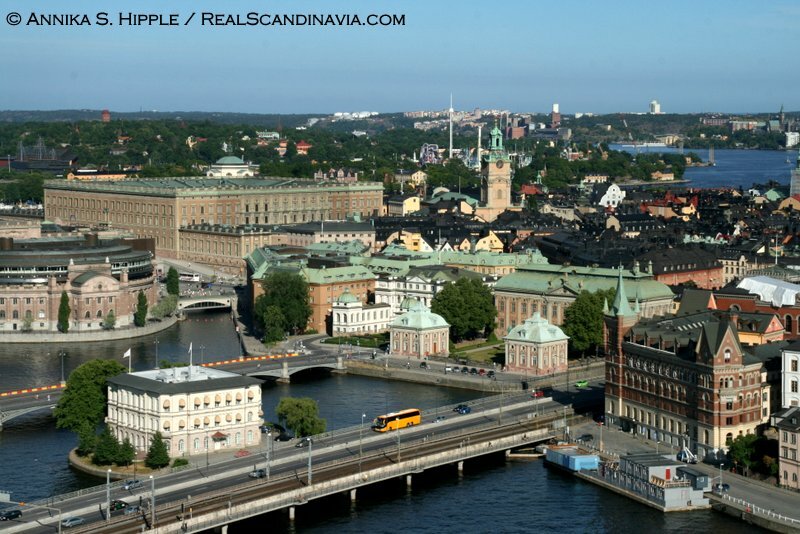 The vista also encompasses the Swedish Parliament (Riksdagen) and other government buildings, Gamla Stan (the Old Town) with its church spires and the Royal Palace, and Djurgården with its parklands and museums, as well as various other islands and the Western Bridge (Västerbron). Ascending the tower involves a bit of effort but is well worth it. An elevator travels halfway up the tower, after which you climb the rest of the way up stairs and through narrow, winding passages. If you’re really feeling energetic, you can skip the elevator and take the stairs all the way, though for understandable reasons, this option tends to be more popular on the way down. Admission to the City Hall Tower is by timed admission ticket, which costs 40 SEK per person (free for children under 12, who must be accompanied by an adult). 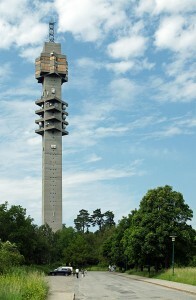 The tower is also free for holders of the Stockholm Card visitor pass. The City Hall Tower is open from May through September, with entrance times every 40 minutes, starting at 9:15. Final admission is at 3:55 p.m. in May and September and 5:15 p.m. from June through August. Only 30 people are allowed in the tower at a time, and tickets do sell out during peak tourist periods, so buy your ticket early in the day to secure a time slot for your visit. The ticket office opens at 9 a.m.
Kaknästornet is a media transmission tower rising 155 meters (more than 508 feet) from Gärdet, a large meadow north of Djurgården. 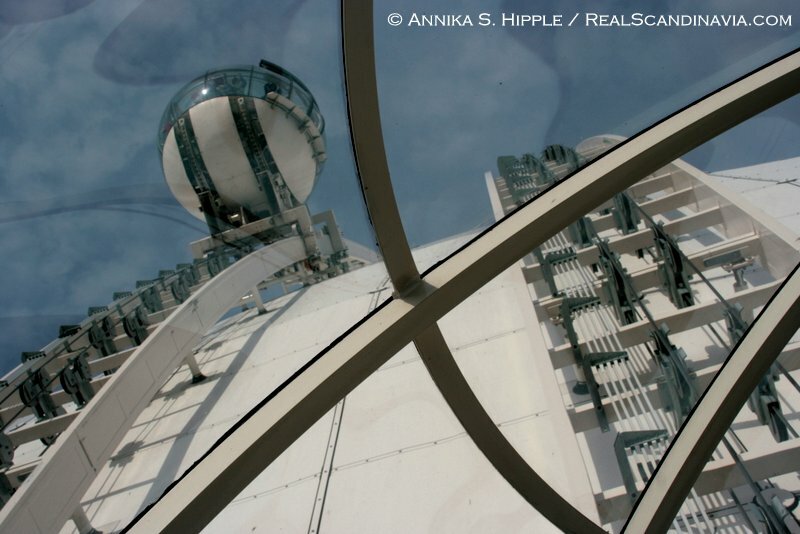 The observation deck is located at the top of the tower on the 30th floor. Order a drink from the café or bar and relax in a comfortable armchair while enjoying the panorama. The tower offers sweeping views of Stockholm and the surrounding area. You may even spot Stockholmers flying kites on Gärdet below. 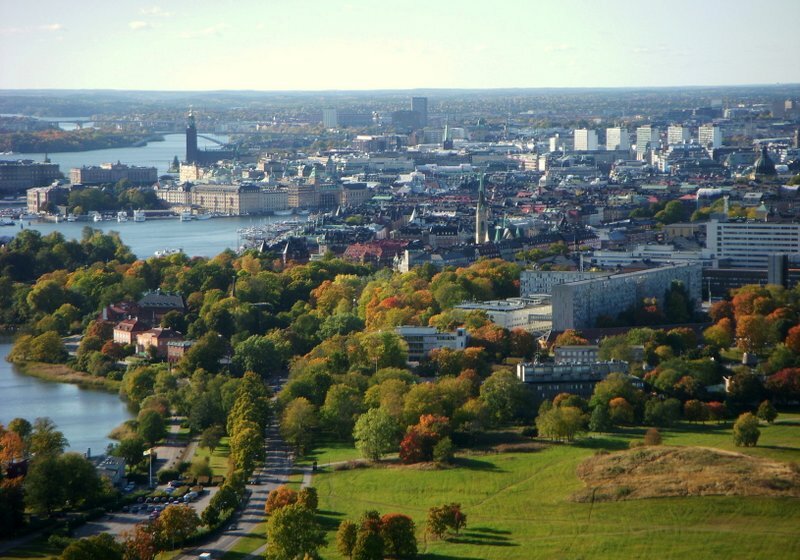 Djurgården Island is in the foreground to the south, while to the west is the heart of Stockholm. 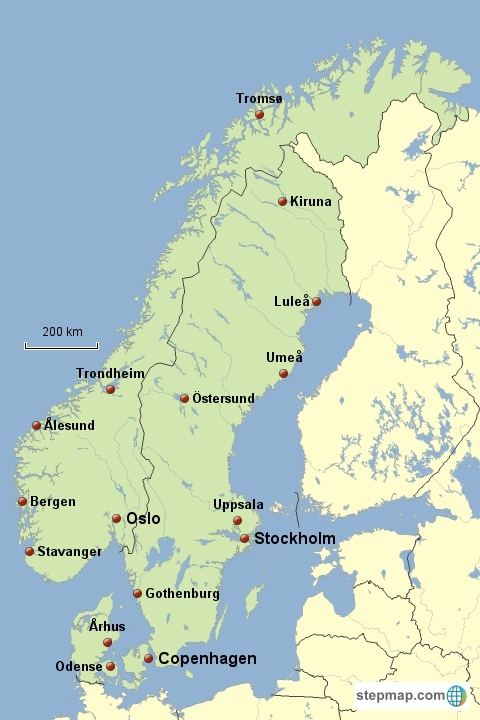 To the east is the Stockholm archipelago with its thousands of islands and skerries. For a meal above the city, book a table at the restaurant on the 28th floor. The shop on the ground floor sells souvenirs and Swedish handicrafts. Kaknästornet was the tallest building in Sweden until 2005, when it was surpassed by the Turning Torso building in Malmö. Admission to the tower costs 55 SEK and is free for holders of the Stockholm Card. Kaknästornet by kallerna. Used under a Creative Commons Attribution-Share Alike 3.0 license via Wikimedia Commons. View from Kaknästornet by Holger Ellgaard. Used under a Creative Commons Attribution-Share Alike 3.0 license via Wikimedia Commons. For one of the best free panoramas in all of Stockholm, head to Fjällgatan, on the northeastern edge of Södermalm. It’s easily reached by heading east along Katarinavägen from Slussen. Directly below you are the docks for the Finland ferries. Many of the buildings along Fjällgatan were erected in the 1700s after a fire that destroyed most of the earlier structures. 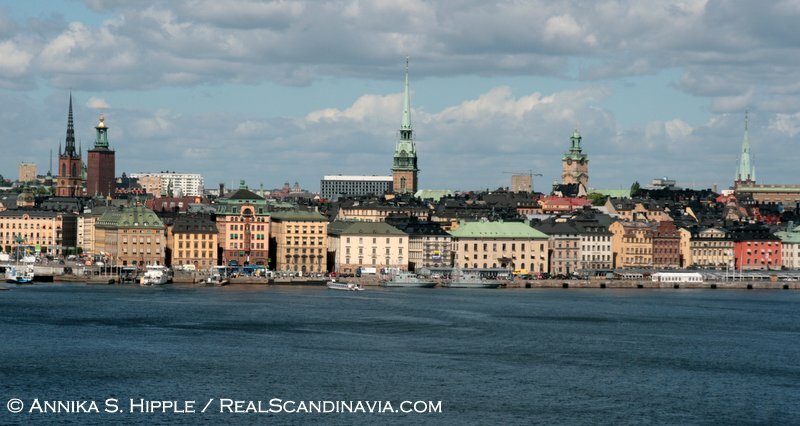 Take some time to savor the fantastic view of Djurgården, Skeppsholmen, and Gamla Stan. If you don’t already know why many people consider Stockholm one of the most beautiful cities in the world, the view from Fjällgatan will make you understand. Most visitors to Stockholm miss this scenic and historic part of the city altogether. It’s their loss. Skinnarviksberget boasts one of the best views in Stockholm. It’s the highest point in the city at 174 feet above sea level. 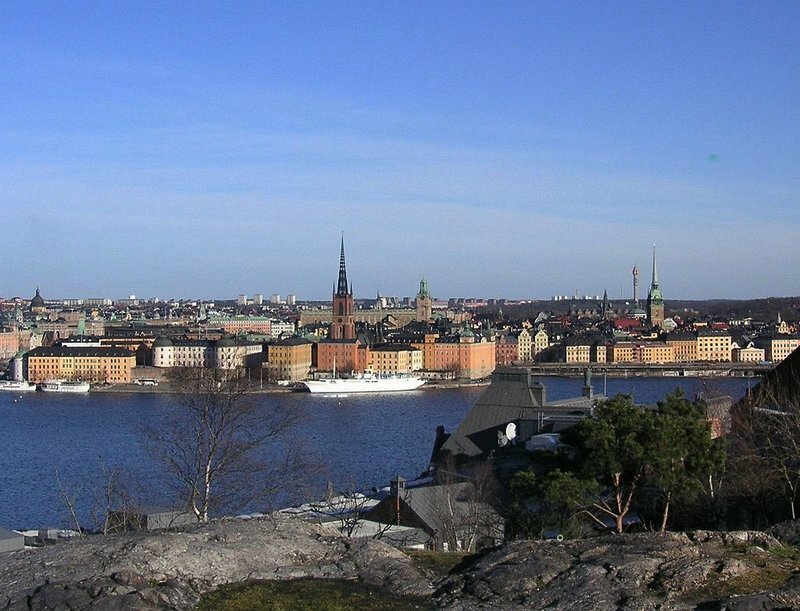 From this rocky knoll you look down on the waters of Riddarfjärden, with downtown Stockholm beyond. 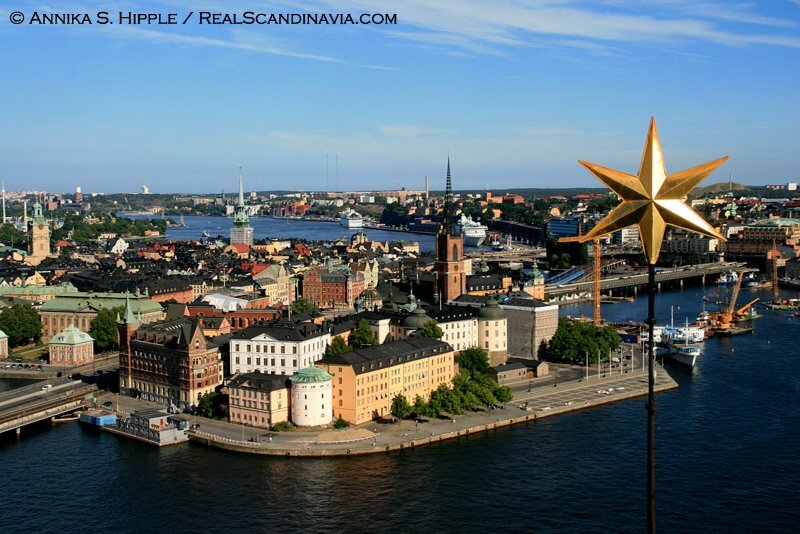 It’s a great place to get a view of old and new Stockholm and a feel for the city’s geography. For locals it’s a popular picnic spot and getaway. The name Skinnarvik comes from the word “skinnare,” meaning “tanner.” Historically this was a district where skins were dressed. Many of the old houses where the tanners lived have been preserved and can be seen on the outskirts of the park. View from Skinnarviksberget by Holger Ellgaard. Used under a Creative Commons Attribution-Share Alike 3.0 license via Wikimedia Commons. For an unusual look at Stockholm from the south, ride the SkyView gondola at the Ericsson Globe (formerly the Stockholm Globe Arena). 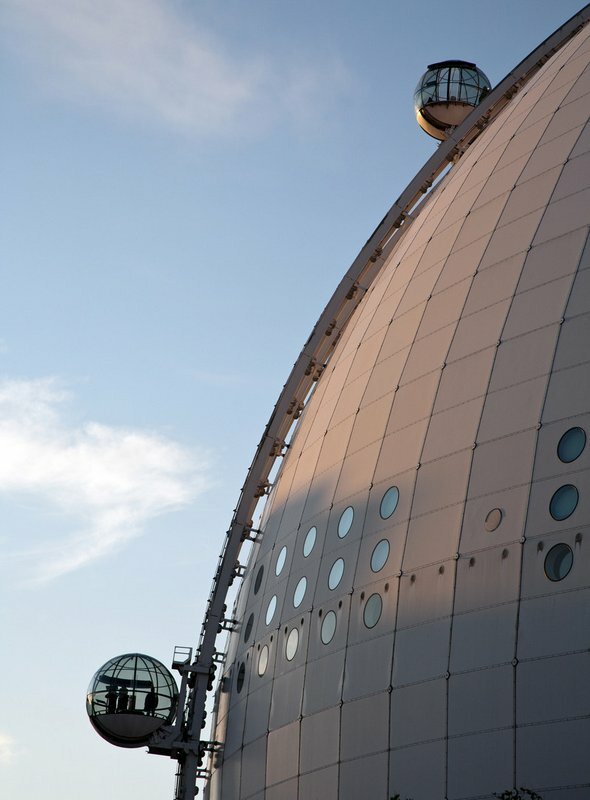 Shaped like a huge golf ball, Globen (“The Globe”) is the largest spherical building in the world, and SkyView takes you all the way up the side and onto the roof. You won’t get the closeup views of downtown that you’ll get from some of the other places on this list, but you will see the city from a new angle. Riding a glass bubble up the outside of this massive building is an experience in itself — especially if you have the Stockholm Card, which provides free admission. If you don’t have a Stockholm Card, admission is a rather hefty 145 SEK for adults and 100 SEK for seniors (65+) and children ages 5-12. SkyView is open daily from 9 a.m. to 9 p.m., with gondolas departing every 10 minutes. The whole trip takes about 20 minutes. Prices and opening hours for all attractions are current as of August 2014 but are subject to change. Do you also have good views from the Bredablick tower at Skansen? It’s been years since I visited the Bredablick Tower, but yes, you get pretty good views from there, though some landmarks are partially obstructed by the many trees on Djurgården. However, according to the Skansen website, the tower is not currently open to visitors. If they open it again, I’d say it’s worth a visit if you’re at Skansen anyway and want a birds’-eye view of that area specifically, but if you’re looking for more of a city panorama, you’re better off with the other spots I listed. There are other places at Skansen where you can get some decent views from ground level. From the Solliden terrace, near the main performance stage, you look out towards the Gröna Lund amusement park, Södermalm, and the Stockholm Globe Arena in the distance. Over by the rose garden (Rosengården) on the Hazeliusbacken side of Skansen, there’s a terrace from which you can see the spires and cupolas of the Nordic Museum (Nordiska museet) and buildings on Strandvägen, though there are too many trees in the way for more sweeping views.